Today we're diving into a question that we get all the time – "How do you get the most out of your first job after a coding bootcamp?” We sat down with Miami-based Wyncode coding bootcamp alum, Jon Rose, who works at CareCloud and his supervisor, Ricardo Morales, to find the answers. CareCloud is a cloud-based electronic health records software company based in Miami which recently completed a $31.5 million Series C round of funding. Jon shares his experience looking for the perfect first job when he graduated from Wyncode, and Ricardo explains how bootcamp grads can stand out to employers, then continue to learn and grow. Ricardo, tell us about CareCloud and your role there? Ricardo: I'll give you the marketing pitch first: CareCloud was founded in 2009 with the goal to modernize the healthcare experience, both for physicians and for patients. We provide a modern platform that seeks to streamline the workflow and support effective patient engagement. I think what attracts developers, and tech guys and bootcampers, is not that we are a healthcare company. It's that at our core, we are a software company. We're using cloud-based bleeding edge, open source technologies in an agile environment. At this point in South Florida, there are not a lot of companies doing that. Jon was telling me that there are about 40 developers- that’s a pretty big engineering team at CareCloud. Ricardo: It is pretty big, and we're actually expanding soon because we just closed on another round of funding. Right – you recently raised a $30 million Series C. What does that mean to CareCloud? Ricardo: First of all, it's not just the amount of money; it’s the quality of that capital. Although we're based in Miami, we're backed by venture capitalists from Silicon Valley. Some of those investors are Intel Capital, and Fortune 500 companies like First Data and PMC Financial Services. We are, in essence, a tech company. With this money, we're poised for aggressive growth, so we're going to be scaling a team and our cloud-based platform. Of course, this translates into more hiring opportunities. We’ve got more to do, so we need more help. Jon, thank you also for joining us! Can you tell us what you were doing before you came to Wyncode? 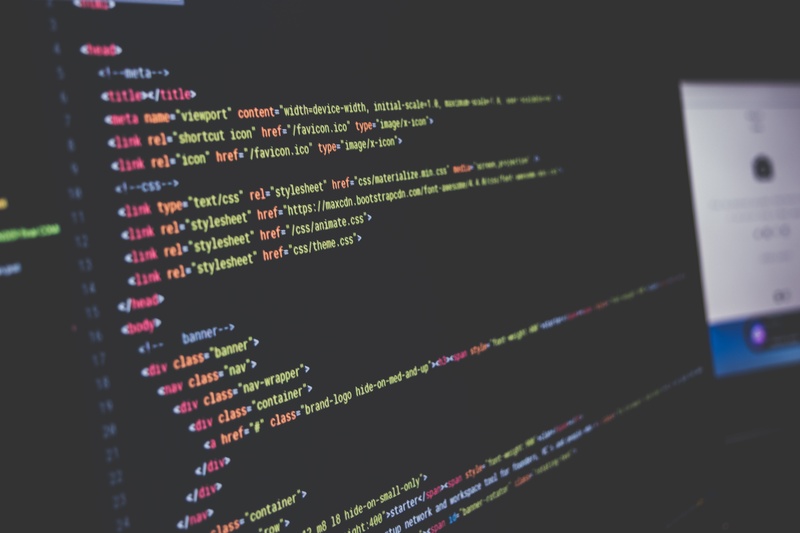 Why did you choose to learn to code? Jon: Sure. Before Wyncode I was a Component Engineer living in New Jersey, which means I spent a lot of time sourcing electronics components like resistors, capacitors, transistors and some larger assemblies in China and all over the world. I wasn't really happy with what I was doing. I wasn't enjoying it and I didn't feel any passion for it. Even though my degree was in electrical engineering, I always really enjoyed computer engineering. I originally started a computer science degree, but after a particularly difficult Java course, I didn't think I was cut out to code. I kept at it for a few years trying to learn on my own. Finally I decided that I just had to go for it if I ever wanted to make it happen. Why did you choose Wyncode in particular, and move from New Jersey to Miami? Jon: It was a particularly brutal winter in New Jersey, and I was just done with the snow, and I knew I wanted to get somewhere warmer. I started looking around and saw some coding schools in South Florida and California. I did a lot of research, and I found out that Wyncode was planning to get their hiring stats reviewed by a third party, which was a big deal to me. The other bootcamps were just posting job placement numbers, but the third-party review gave me confidence in Wyncode, so I decided to give them a call. I spoke with Diego, the admissions director at the time, and he convinced me of what Wyncode would do for me. They would be by my side and work with me until I found the job of my dreams, which they did. Ricardo, there are a lot of coding bootcamps now. Why does CareCloud hire specifically from Wyncode? Ricardo: For the record, we don't only hire from Wyncode, but we have had better success with Wyncode, and I believe there are multiple reasons for that. They have the first mover advantage, being the first coding bootcamp in Miami. From the beginning, we started a great relationship with Juha and Johanna (the founders). We also know their lead instructor Ed Toro. Geeks know each other, so he was well-known by the rest of the CareCloud Ruby team. Because of this relationship, we've had an opportunity to influence their curriculum and give them advice on what they need to teach to be relevant at CareCloud. So when a Wyncoder graduates, they can start adding value on Day One. We've also been part of Wyncode’s interview day (called Wynterviews) where the students get experience interviewing in practice runs. It gives us an advantage as employers because we get to meet the students ahead of time and get a preview of the candidates. We also participate in Pitch Day as judges so we have the opportunity to scout the candidates and maybe make a hire on the spot. In general, Wyncode has a really good reputation with us, with the Knight Foundation, and in the Miami tech community. When you've hired Wyncode student, what has stood out about those Wyncode students? Ricardo: We do scout them out at hiring days, but they really go through the same vetting process that most of the other developers on our team go through. However, we know to set our expectations for a junior developer. We know that a candidate from Wyncode is going to have junior tech skills, so we're looking for a lot of other soft skills. They need to be very motivated, to be problem solvers, and to be thinking outside the box and pushing themselves outside of their comfort zone all the time. Basically, we expect Wyncode candidates to be sponges of knowledge because that will be crucial when they're paired with somebody more experienced on our team. Jon, coding bootcamps are not easy; Wyncode is not easy. How did you prepare for the first day of class and then digest all of that information at a pace that you needed to throughout the course? Jon: Before starting Wyncode, we’re all assigned pre-work, which is certain courses we have to complete online, and setting up our development environment to get ready to start coding. The first, and seemingly most obvious, thing is that you’ve got to actually do all that pre-work. It's very important that you get a taste of coding and the curriculum, and that you're a little bit more ready and prepared. Once you start class at Wyncode, the most important thing you can do is just put your all into it. Realize that these 10 weeks are going to be your life. Luckily for me, the first two weeks were mostly review because I had been trying to teach myself how to code for a while, but that didn't mean I ever left early. I would stay until 10 or 11pm every night; come in on weekends, do the projects and do a second version of the projects if I thought there was another interesting way to attack it. For me, the best way to absorb the material is to just keep doing new things and trying to expand on what we learned in class. It was those first two weeks of putting in the extra effort that really sets the tone for the rest of the bootcamp. I knew this was the level of effort required to get the most out of Wyncode. The Wyncode team at their new campus launch party. Jon, what were you looking for in your first job as a developer? Were you looking for a specific job title? Did you want to stay in Miami? Jon: I really grew to love Miami for the two months I was here. I enjoyed the tech scene and the art scene here. Everything was just new and different for me coming from New Jersey. So a particular job title didn’t matter to me, but I was looking for a position that would allow me to code on Day One, which is luckily what I got at CareCloud. On my first or second day, I was already assigned to a user story. I was working with a senior developer and working with a programming language that was brand new to me – I'd never seen ActionScript! That's exactly what I was looking for; a place to continue my education, learn brand new things and just trial by fire. Did Wyncode help you figure out which companies to apply for? Jon: Like Ricardo was saying, CareCloud had been holding interviews at Wyncode during the cohort (we call them Wynterviews). A couple of the CareCloud senior developers came and interviewed groups of Wyncode students at a time. I was also connected with a few other companies through this process, and the application process with CareCloud just worked out for me. We do have a biweekly WynWork gathering where people who are looking for jobs can get together and share leads and discuss their techniques, and that's another path to finding a job. Have you referred other Wyncode students to CareCloud? Jon: We now have seven Wyncode grads currently working at CareCloud. I was able to give a little bit of input on each person. Everyone who works here, I thought was absolutely stellar in their cohort. And just recently I handed in a resume for someone who was looking to change from being an instructor at Wyncode to wanting to work full-time in web development, and he's working at CareCloud now and doing a fantastic job. Ricardo, from your point of view, what does that interview process look like when you're recruiting bootcamp graduates? Ricardo: We tweak the process slightly, but it's very similar to the main process that we use. We know that while these students are at Wyncode, during those weeks is very intense. Immediately after pitch day and graduation, we engage the candidates that we think have potential and then we send them a coding challenge. They actually have to write a little piece of software for that coding challenge that takes about one day. We're trying to see their creativity and making sure that their software works. Then we bring them in for an interview, where we talk about that challenge and why they wrote their code in a specific way. They'll get problem-solving questions and they might have to whiteboard, but we're not really looking for candidates who know a particular language like the back of their hand. We do a panel interview, which for some is a little intimidating, but it shouldn't be! They're talking to three to five people at the same time, but it's not a firing squad. It gives the candidate an opportunity to know who they're going to work with, and meet different team leads. Sometimes, team leads are actually fighting for the candidates, so it's actually an advantage. After onboarding seven new hires from Wyncode, what kind of training, onboarding programs do you have in place at CareCloud? Ricardo: We assume that a new hire from Wyncode can already code somewhat. So the best way to learn is throwing them in the fire. We start with smaller User Stories that are typical maintenance items, like fixing little bugs so they can get their feet wet. We'll pair them with a developer so that they can ask questions and be coached. We deploy to production constantly, and we work in two-week sprints. The good thing is whatever they're working on will probably be live in less than two weeks, and somebody will be using it. Which is actually very nice, right? A lot of developers will work on stuff that never sees the light of day, but they know that this is for real. 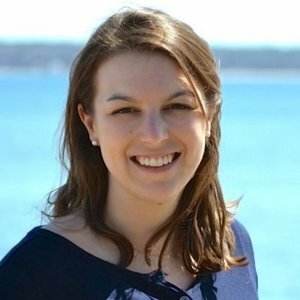 Are your new hires paired with a senior developer at CareCloud? Ricardo: We want them to struggle a little bit so they can solve their own problems, but we don't leave them drowning. It's in our own interest that the projects they work on are good because they’re being pushed to production. So they're always free to ask for help- CareCloud has an open door policy. Ricardo: We use some other languages too, but what Wyncode teaches matches most of our tech stack. We also focus on AWS products, Node.js, Scala, and a few other hot technologies right now. New hires will definitely have exposure to technologies that they've never used. Even if they’re working in Ruby, they're going to be working on parts of Ruby that they've never worked with before. Jon, what specifically did the developers on your team at CareCloud do that brought you up to speed? Jon: I got started on the Sustaining Engineering team, which meant that I was working on bugs that were already in production. By starting with researching those bugs, finding out why they exist and then coming up with fixes, I found myself in a ton of different parts of the app. Since everyone is so helpful at CareCloud, I could go up to anyone and say, "Hey, can you help me with this? I'm really not sure what's going on." And they'll sit down and take their time and walk through with me what's going on. By starting with bugs, I got a taste of the whole product, so when I started working on new features, I realized that I had experience in those parts of the app. Did you choose to focus on a specific technology or topic at Wyncode? Do you think it paid off? Jon: Instead of focusing on a specific topic, I tried to mostly focus on the lesson of the day and the homework. I didn't know the right path to becoming a developer and I was trusting in Wyncode to guide me. I figured that the Wyncode team were the experts, so I just dived deep into whatever the lessons were. If anything, I focused a lot on Rails because I found myself more interested in the back end than the front end. Ricardo, do you recommend that bootcamp grads learn something specific right after they attend their bootcamp? Ricardo: The bootcamp never ends. The best advice I can give you is: never stop learning. You have to keep up with technology and be constantly learning. Just like being a doctor, there will always be new treatments and new diseases; it’s the same with tech. Join the Slack channels. Be connected with the community. Read blogs. Try to be a sponge. There are so many technologies out there, and there will always be value for one of them. If you become a good developer, you can always switch from one language to another. The trick is having a good foundation. Jon, over the last two years, can you tell us about something that you've picked up on the job and how you picked that up? Jon: A lot of the fundamentals between languages are the same. For object-oriented languages, the concepts are going to be the same across languages. MVC design patterns are going to be similar across different frameworks. Using that as your foundation, you can really pick up the syntax and the differences and the conventions for each framework. We have access to a Codeschool account, which has some great tutorials. I picked up some React and some Angular from there. But for me, the best way to learn a new technology is to come up with a project, and then find the resources to help explain the parts that I don't know how to do. Jon, do you have your own projects outside of CareCloud? Is that important to continuing to grow and learn as a developer? Jon: I’m actually working on two projects currently, and I just finished up a third project last week. It's just another example of keep doing, keep learning. The good thing about working on your own project is when you start a new one you have to set up all the foundational work. Working at CareCloud, a lot of the user stories are already defined, and I just follow. But when I start my own project, I have to come up with my own user stories. Using what I learn at Carecloud helps me to ensure that my project is better. By building out my project, I understand some of the decisions we've made internally here at CareCloud. It's like a back and forth of relationship. Ricardo, how does somebody who starts from Wyncode at CareCloud know that they're doing well in their first three to six months? Ricardo: We're an agile shop, so we do two-week sprints, just like everybody else. We deliver the stories that you set up to start with and we make sure that your bug ratio is acceptable. Everybody is going to have bugs- that's a given. We’re also expecting you to make mistakes, especially in the beginning, and we coach you to ensure that you learn and don't keep repeating the same mistakes. If you’re not breaking anything, you're not trying hard enough. What advice do you have for other employers who are considering hiring coding bootcamp grads generally or specifically from Wyncode? Ricardo: When we started working with Wyncode, coding bootcamps were pretty new and we didn't know how it was going to work out. I can now say that it's been totally successful. What I would tell employers is that these coding bootcamp grads are diamonds in the rough. If you can see past that and see their potential can be, give them a shot! You have to make sure you can mentor a coding bootcamp grad. And if you do, you can end up with really good, quality people on the team. Jon, you are also working as a part-time teaching assistant in the evenings at Wyncode- why do you TA? Jon: I found that teaching is the best way for me to understand. During my cohort, when I saw someone was struggling, I would help them right away because it confirmed my knowledge on the topic. Additionally, I would see their point of view and their perspective, something I maybe never thought of before. I learned from them as well. Also, there are some areas that I don't have as much practice in. Through TA-ing, I get an opportunity to do some more practice. I also enjoy being with the community and watching people go from struggling with really basic stuff, to building Rails apps that just are frankly really impressive. I just like to watch their journey. Jon, do you have advice for other bootcampers?? Jon: If I could change one thing about my time at Wyncode, I should have spoken more with my TA's- my teaching assistants. I took a very heads-down "I'm going to figure this out.” approach, and eventually I would get it. But I missed out on opportunities to speak to those who already understand the concepts and can maybe give me more insight and perspectives. I definitely regret missing out on those opportunities. Luckily, since I’m now a TA, I get the benefit of what I missed out on. My only other advice is that this is called a bootcamp for a reason. The very best thing you can do is give it your all and just work as much as you can. I've seen a lot of people who struggled in the beginning, but stayed late every day, and they end up succeeding more than those who get it right away if they don't stay late and don't work hard. Ricardo, CareCloud is hiring now, right? How can someone apply? Ricardo: The best way is to look at our careers page on our website. If you're a Wyncode student, then it also helps if you email a Wyncode grad who now works at CareCloud to get a referral. Thank you so much to Ricardo and Jon for joining us! To learn more about Wyncode, check out Wyncode reviews on Course Report. 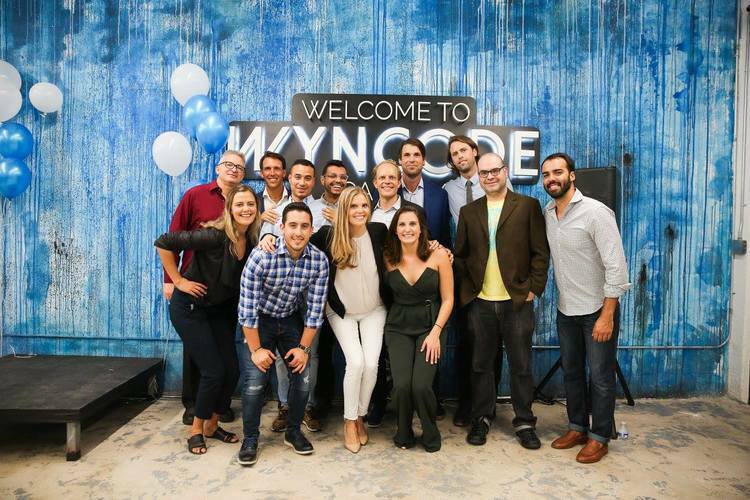 Wyncode recently launched Wynbase, the first stand-alone code school campus in Miami’s vibrant Wynwood district, and announced $1 million of fundraising. Check out photos of Wynbase in the South Florida Business Journal.